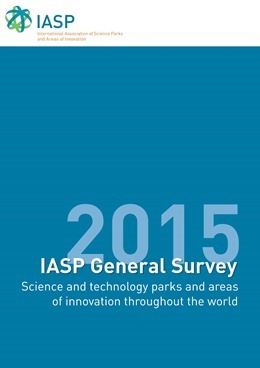 The International Association of Science Parks and Areas of Innovation (IASP) has an extensive international network of innovation ecosystems, and is ideally placed to study and examine the current trends and figures at a worldwide. \n\nIn order to obtain this data for analysis IASP periodically conducts surveys and research within the industry of science technology parks and areas of innovation (STP/AI). This statistical report (based on the data gathered from the survey, which includes new questions for 2015), gives a clear analysis of the data and provides a comprehensive overview of STP/AIs on an international scale, as well as being an excellent platform from which to continue more in-depth study.\n\nThere are many factors that can affect the growth and development of STPs/AIs, and keeping abreast of what is happening in the industry is of interest for practitioners and academics alike.